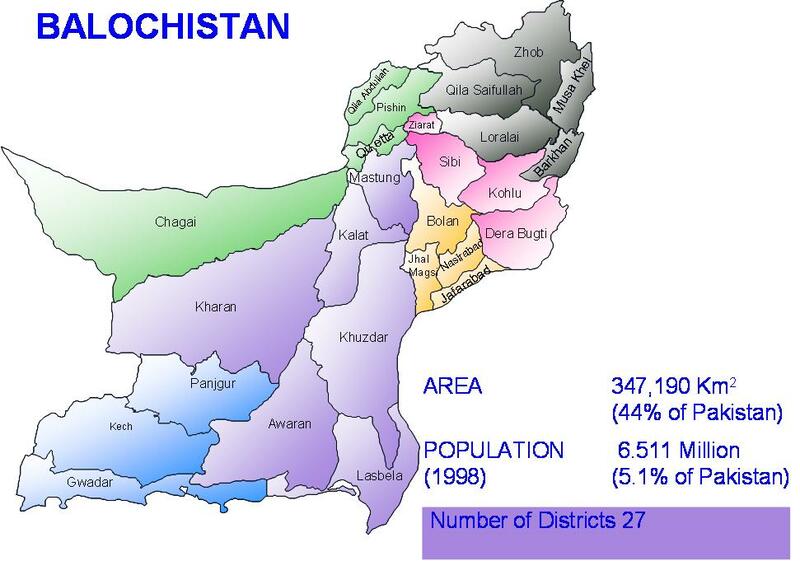 According to area, Baluchistan is the biggest province of Pakistan. Quetta is capital of Baluchistan. Sui gas is found in Baluchistan. The people of this province are very courageous and brave. In the past, this province remained under-developed but today it is moving on the path of progress. Before partition, Baluchistan was the most backward region of Muslim India. The Muslim League was the first political organization to sponsor the cause of Baluchistan as set in Quaid’s Fourteen Points of 1929, in which a demand was made for the creation of a separate province for Baluchistan. 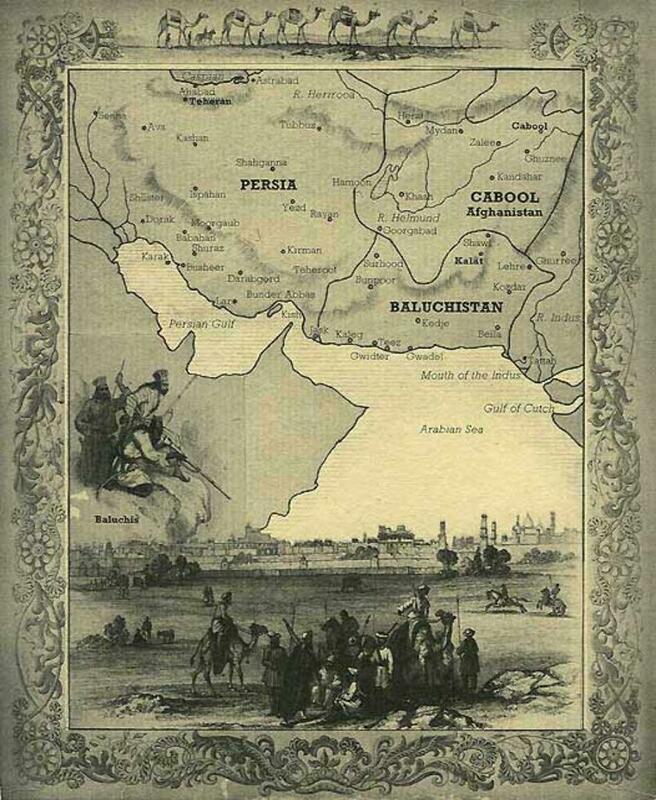 During British rule Baluchistan did not enjoy the status of province. It was deprived of political reforms. Due to this remained backward politically and economically. In 1927, Tavares-e-Delhi given by Muslim leaders and in 1929 in Quaid-e-Azam's fourteen points, it was demanded that political reforms should also be introduced in Frontier and Baluchistan like other provinces. The process of political awakening in Baluchistan; started very late because its link with other parts of the country was very little. They were backward in education. Qazi Isa a young Pathan lawyer of Baluchistan, established the Baluchistan Muslim League incorporation with Quaid-e-Azam in 1939. A conference was, therefore, convened by Qazi Isa in Quetta in Jume, 1939, which introduced the League to the people of Baluchistan. Muslim League was founded in Baluchistan in 1939. Qazi Mohammad is at the top of the list of people, which made Muslim League active in Baluchistan, Nawab Mohammad Khan Jogezai and Mir Jafar Jamali also served much. These leaders prepared the people here for making Pakistan both mentally and practically. This was followed soon afterwards by a visit by Maulana Zafar Ali Khan, which gave further prestige to the League, and from then on it never looked back. In the annual session of the Muslim League at Lahore in March, 1940, there was a fair representation of delegates from Baluchistan to support Pakistan Resolution. Baluchistan Muslim League favored Pakistan movement very much. The leaders held meeting here from time to time and prepared the people mentally for Pakistan. The people of Baluchistan took active part in Pakistan Movement. In April 1947 Pakistan Conference was held in Quetta in which Muslim League strongly demanded Pakistan as their independent state. On 3rd June 1947 it was declared that Balochi Shahi Jerga and Quetta municipal Committee would decide about the future of Baluchistan. Congress tried much to win the favour but failed due to the untiring efforts of Qazi Mohammad Esa, Nawab Mohammad Khan Jogezai, Mir Jaffer Khan Jamali and ohter leaders and workers of Muslim League Shahi Jerga, Balochi leaders and Municipal Committee decided in favour of Pakistan. In this way Baluchistan became the part of Pakistan.